In the last 3 years desktop Internet usage has fallen from 90% to 60%, while mobile usage has increased to 40%.Following this trend, mobile devices are set to upstage desktop Internet access soon. Very soon. If your clientâ€™s customers are primarily desktop/laptop users â€“ for example, enterprise level access to a tool that will only be accessed from workstations â€“ then you donâ€™t need to bother about mobile access. But if your client wants an online store or provides localized information depending on where customers are â€“ then youâ€™re better off using a mobile first design approach. To reach the largest number of people and grow your (clientâ€™s) business, your website needs to work well when accessed from a range of devices. So take the effort to first sketch out your mobile web strategy. The challenge in designing for mobile devices is that they come in so many variants, sizes and flavors. Much like Browsers during the great Browser wars of the 1990's! Many people use their mobile device on the go – in a hurried, rushed state. Combined with small touch screens, it doesnâ€™t make for easy search or navigation. While designing for a mobile experience, minimalism rules. Keep clutter to a minimum. Each page including the homepage should have just one central focus. If you have any atypical gestures, like a swipe to move to the next page or a horizontal scroll, donâ€™t assume users will pick up on these. Make it easy for users. Tell them how to use these features with a small arrow or a hovering message, whatever it takes to make it easy for them to find what theyâ€™re looking for. Mobile users notice and appreciate, the small things that make their experience smoother. And of course, it works better for you too. Another desktop habit that doesnâ€™t work well on mobiles is multi level menus with sub menus that show on hover. On a mobile device, you want to keep things accessible. If the user has to tap through 4 levels of menus to find something, chances are high theyâ€™ll leave after the 2nd tap. Avoid multi level menus on mobile sites as much as possible. This is a stark contrast to desktop design where people worked hard to get almost every bit of information on the website even if it meant 3 levels navigation menus and 10 widgets crowding the sidebar. There's a premium attached to screen space on mobile devices. Keep it minimal and focus on the key message you want the user to take away. In fact, thatâ€™s a good practice to follow even for desktop sites. Many mobile devices means many different dimensions. However tempting it may be, donâ€™t just design for a 320 pixel width. Like it or not – 176, 240, 320, 360, ~480-600 (landscape) are also common device widths. Keeping your layout flexible and fluid ensures it displays properly on different screen sizes. You donâ€™t want the site to work just on devices that match your fixed break points but look weird on everything else. Hereâ€™s a primer to fluid layouts and one on getting fluid layouts working in responsive designs. Small touch screens and yet smaller virtual keyboards with keys that are barely 5mm x 5mm in size do not make for a happy typing experience. Keep forms simple and small. If you need to, keep a separate form for mobile users, with the least number of fields required to get the data you need. As far as possible, pre-fill fields with defaults. Use auto-fill for commonly used fields. For example, use visual calendars instead of making users type the date. For forms that are longer than a single screen, itâ€™s good to show users a progress bar indicating how far theyâ€™ve come, and more importantly, how close they are to finishing. Hereâ€™s some good guidelines from Google to create good forms. While weâ€™re talking of forms, how can we not talk of label placements? Did you know users fill out forms faster with top aligned labels? Keeping the labels above the input field ensures that it is still visible, even if the device zooms in on the input field while you type. Top aligned labels also make it easier for the user to scan fields and keep track while scrolling down the page. You can learn more about label positioning here. Size and speed are the two most important performance measures for a mobile site. Donâ€™t use images to achieve fancy effects like gradients and shadows. Learn the basics of what is possible with CSS and incorporate those into your design. The fewer special effects you try to achieve with images, the better it is. 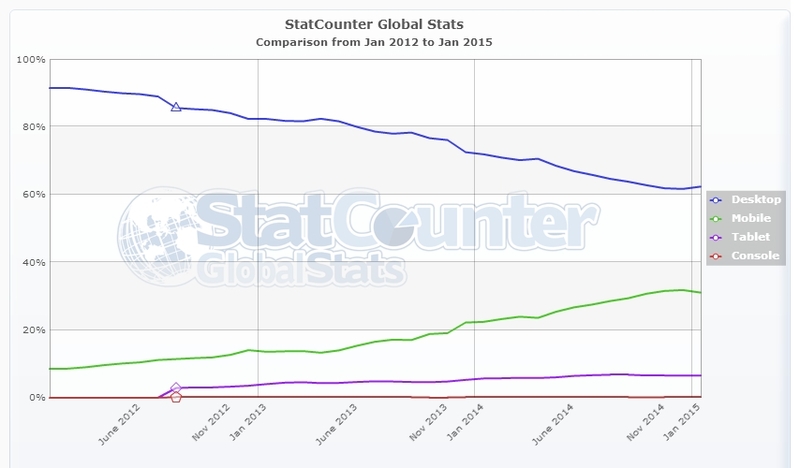 Not all CSS3 effects will be available on older mobile browsers, but thatâ€™s okay. The site does not have to be 100% pixel perfect to the design across all devices. If youâ€™re fond of using fancy text as images in your design, this would be a good time to drop it. Keep text as text. Use fancy fonts to achieve the effect you want. But drop the extra images in the interest of keeping your siteâ€™s footprint and page load times low. 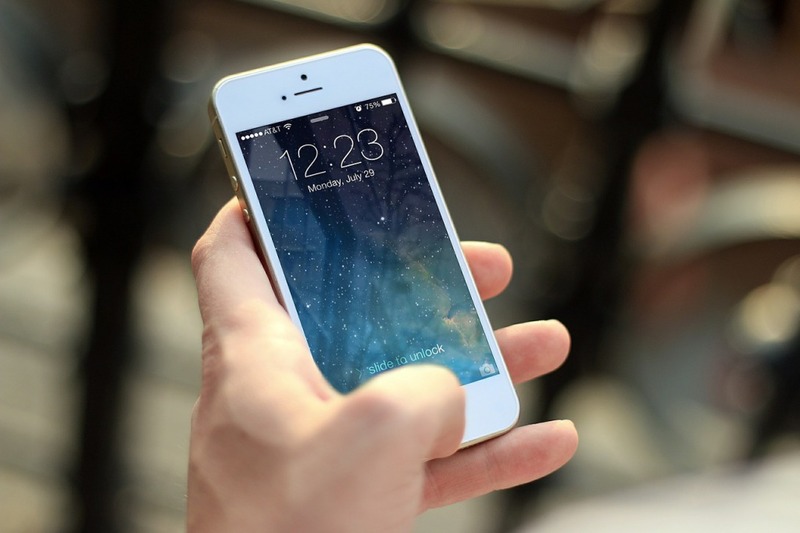 Mobile devices have many features like GPS, Gyrometers and other sensors that are not available on desktop devices, such as "slide to unlock" or the ability to make phone calls. Figure out how to use these features to make the mobile experience for your website even better. You can add simple features like â€œTap to Callâ€� the phone number on your contact page, enable easier sharing across social media platforms, or GPS to offer location specific information and services. This is the part where you stretch yourself to think out of the box and leverage mobile specific functionality for a better mobile experience. Are you already following these best practices? What are your favorite tips to designing a good mobile experience?